The demolition and ‘redevelopment’ of Broadwater Farm and building of homes on Lordship Rec: Barmy? Or a real threat? According to council documents – http://www.haringey.gov.uk/sites/haringeygovuk/files/site_allocation_developement_web_0.pdf (Site 63, page 162), it appears that the council are considering promoting the demolition and ‘redevelopment’ of some or all of Broadwater Farm. The plans, confirmed by senior Council officers [see below], suggest that they intend for new housing to be built on a large chunk of the north end of Lordship Recreation Ground, including half of the main field and the whole sports field, to rehouse those displaced by potential demolitions at Broadwater Farm. The potential redevelopment zone is indicated by a red line on a map, and also includes Somerset Close, Lido Square, homes along the south side of Lordship Lane, and all the community facilities within the zone. Such a zone would mean increased powers for property developers in that zone, backed by Council encouragement and support. This incredible, barmy and totally unnecessary attack on local communities would cause massive stress to all concerned, displacement and disruption for years, and undermine all the successful efforts over decades to build a strong and stable local community and to improve local facilities. Our communities have worked long and hard to make Broadwater Farm one of the most attractive estates in the UK, and to make Lordship Rec the great park it now is. 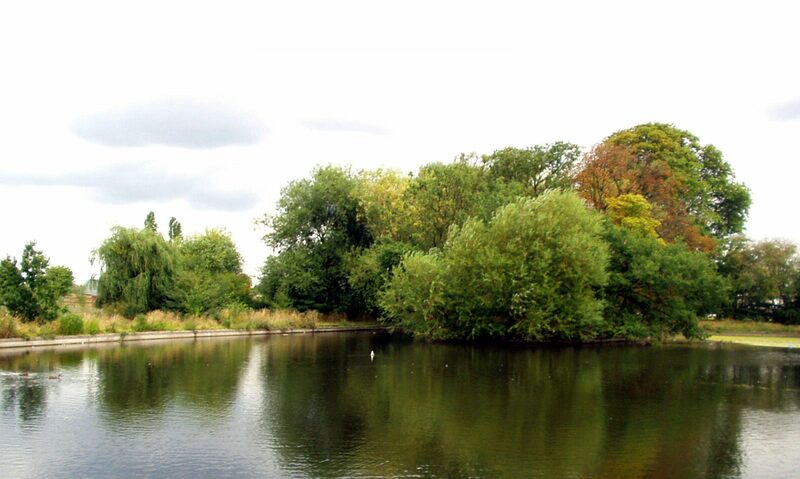 The threat to Lordship Rec would bring the Council into direct conflict with the Lordship Rec park users’ organisations, and all the funding bodies (Lottery, GLA and the Environment Agency) who have supported the successful and nationally-celebrated community-led regeneration of Tottenham’s largest public park. Incidentally, in case the Council have forgotten, the park is safeguarded and protected for all time by a ‘Fields In Trust’ covenant preventing any part of it being developed or sold off. We couldn’t believe the proposals when we first heard about them. However, Steve Kelly from the Council’s Planning Department spoke at the Tangmere Steering Committee on Broadwater Farm recently and when challenged admitted that the land on Lordship Recreation Ground would be needed for housing for people displaced by any demolitions on Broadwater Farm. Matthew Patterson, the Council’s Interim Head of Policy, Strategic Transport and Infrastructure, also confirmed to a rep from the Friends of Lordship Rec that the inclusion of the northern part of Lordship Rec in the development zone is for the power to build housing to ‘decant’ the residents of Broadwater Farm (or many of them) into that area of the park ‘otherwise the demolitions on the estate could not go ahead’ due to the impracticalities of re-homing those affected during the demolition and redevelopment works. The deadline for registering objections to this outrageous and unacceptable threat to the estate and park is March 27th. It comes under the consultation for ‘Haringey’s Local Plan 2011-2026’, the most important planning document in the borough. This is a formal objection process, and the Local Plan documents have to be submitted to a Planning Inspector at a public enquiry before they can be approved. Those objecting will be able to put their case to the Inspector. This proposed mass disruption and destruction must be opposed. Over the last 3-4 years the Friends have consolidated our activities, our support for the wide range of User Groups, our regular publicity for all the park’s activities, events and issues, and our overall Friends’ membership. Many of the specific functions of the Friends, as the key umbrella organisation for park users, have gradually shifted to the active User Groups. Most of these User Groups are flourishing in the newly-regenerated park and its improved facilities. The encouragement of autonomous groups was a long-standing strategy of the Friends since our formation in 2001. The currently active User Groups include: The Friends; Women’s Association; Wildlife Group; Rockstone; Tottenham Bike Cub; Back 2 Earth (Harmony Gardens and Cafe); Moselle Group; Woodland Group, Sketching Group; Shell Performing Arts Collective; Lordship Sports & Arts Consortium; Outdoor Gym Group; Walking Group; Hub Co-op; Lordship Rec FC; Broadwater United FC; Baby Meet Up; Tottenham Clouds, Lordship Dog Club. Each of those groups has been building up its own membership, most of whom have also joined the Friends. Since the growth in the number and range of activities of the park User Groups, many more park users of diverse backgrounds and interests have been involved in organising and helping out in park activities. All the User Groups as well as the park’s own staff and relevant Council officers, co-ordinate and communicate through the Lordship Rec Users Forum via its monthly evening general meetings and the more specialist fortnightly daytime practical coordination meetings.. The most active members of the Friends continue to help manage and improve the Woodland (including recently commissioning and installing the memorial sculpture there), support the Wildlife Group / Women’s Association / Sketching Group / Walking Group, run the park’s noticeboards, help run the Hub, produce general park publicity, monitor the River Moselle, liaise with park staff, manage our e-lists and website, coordinate LRUF meetings, and attend Haringey-wide (and London and National) Friends Groups’ meetings. We used to help coordinate the annual festivals (8,000 attended in 2012) – however, since then we have helped promote a successful programme of events by park User Groups throughout the year. The Friends ourselves took the lead with last year’s ‘We Remember’ event in July, contributed substantially to the September Fest, and held a ’30 yrs of Community Action in the Rec’ exhibition. Membership has risen from maybe around 250 in early 2012, to around 600 in July 2014, and to a current figure of 1,270. This rise has been greatly facilitated by the use of the Hub as a base over the past 2 years. THE HUB In 2013-14 the Friends were managing the Hub’s Community Room for park meetings and activities. However, in order to open up the whole building as a community facility, the Friends set up a special organisation to take on the lease. Since July 2014 the new Hub Co-op has been able to open the Hub daily to the public, including the daily community-run cafe. Many groups are now booking the rooms. All this has made a major difference, and a Friends’ sign-up sheet by the main entrance has resulted in a doubling of Friends membership over the last 6 months. The number of those actually attending the Friends general meetings over the last 2 years has tended to remain constant (6-20), with a strong core of many of the original Friends activists from 5 years ago (mainly white, older, working class, park users). This is partly due to the members’ involvement in the park’s User Groups and the intense activity over the last year to ensure the success of the Hub. We now need to continue to strengthen not only our membership and the support for the various User Groups, but also the numbers and diversity of those attending our own general meetings. A NEW ERA We are now entering a new, ‘post-regeneration’ phase in which park users can enjoy the improved park and its facilities. There are also many further improvements to be made (see list) and which can all be achieved if there are people prepared to push for them, help fundraise and oversee. We welcome and encourage new people to get actively involved!